It’s an increasingly competitive landscape as more businesses bloom in your market and share your space. Consumers are also becoming more savvy and hold more power than ever before by being able to search for information online so easily. What does your business do to get past this challenge? Some guidelines for your elevator speech to consider are to be clear and communicate the niche of your business. What your business believes it can change, how your approach is different, what your target market has told you it needs, clarity for if this is already being done. If so, what yours does different or what makes it the best. Make it simple, too! Many times a business elevator speech gets twisted and turned around and said completely different depending on who is saying it and who they are saying it to. That is an example of a poorly authored elevator speech. Even if you already have an elevator speech, you may want to really look into the message it sends before you quickly paste and publish it somewhere. Our old elevator speech was very tongue twisting and hard to communicate. See this article from Business News Daily on 10 Tips for a Winning Elevator Pitch. Now that you have some guidelines, get out there and craft a better elevator speech! 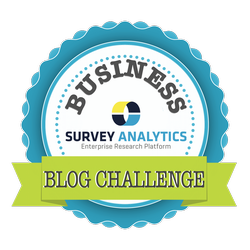 The Survey Analytics elevator speech we use today is: "At Survey Analytics, we help companies listen. Surveys are just one small piece of the puzzle, so why would we want someone else to do them for us? With Survey Analytics, you can listen to your customers and consumers yourself and evaluate insights in real-time. Our platform gives you the actionable reports you need to deliver more value and engage with your audience. At the end of the day, we want to help you win and see your business grow by using the best tools designed for helping you listen."